I picked up Essence Choose Me! because.... it was 99¢ and it sparkled at me. I don't generally like blue glitter type polishes, but this one really glowed and was so pretty on my nails that I ended up really liking it. 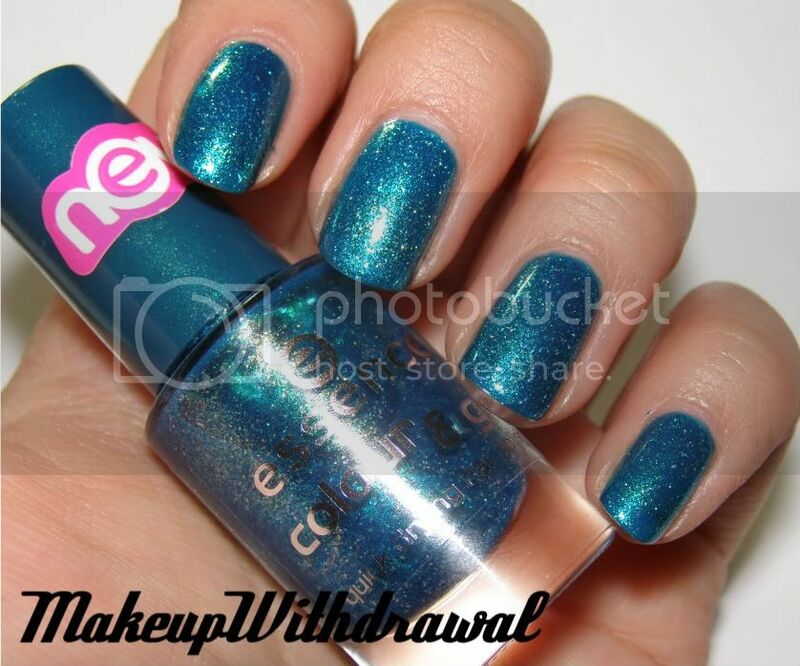 This polish is supposed to be a dupe of Zoya Charla, a dark blue-teal micro glitter in a sheer base. It looks kinda thin and transparent in the photo, but it's not really. Apparently my camera had slight x-ray abilities, because though 4 coats looks completely opaque in real life, it somehow shows a visible nail line in photos. Heck, you don't need 4 coats. Actually, I wear it with 2 or 3, but I tried to get it to show up solid with my camera, and gave up after 4. Anyways, I like wearing it a lot, it's too flashy for a lot of settings (job interviews, funerals... you get the idea). Anyways, this is possibly the best 99 cents I've ever spent, especially on a polish. What's the best cheap polish you've ever purchased? Have you tried Zoya Charla or Essence Choose Me!